Filmed over 15 years, beginning with her classic documentary TODOS SANTOS CUCHUMATAN: Report from a Guatemala Village (1982), Olivia Carrescia's three films on the Mayan Indians of Guatemala preserve a record, and provide an acute observation on how the indigenous culture has been affected by, yet survived, that country's tumultuous history. The trilogy starts with TODOS SANTOS CUCHUMATAN which provides an intimate look at everyday life in Todos Santos, a village in Guatemala's highlands, before the civil war of the mid 1980's, and ominously illustrates social changes in the lives of Guatemalan Indians leading to the political upheaval. Seven years later in TODOS SANTOS: THE SURVIVORS (1989) the filmmaker returns to find the once quiet village she had documented changed forever by the political turmoil. A haunting look underneath the silence which blanketed Guatemala, the film records the legacy of a bloody civil war, and the wounds that remain unhealed even after the guns have stopped firing. 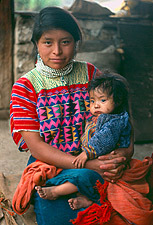 Fleeing this violence, many Mayan families emigrated to the United States. 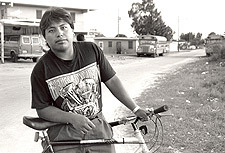 Set in Florida and Massachusetts, MAYAN VOICES: AMERICAN LIVES (1994) contrasts their experiences as refugees with the struggles of those continuing to arrive in search of better lives. The film also explores issues of identity, cultural integration, migration, and social change. Now on one DVD, this collection of three films is a unique, essential document of the recent history and evolving society of an indigenous Central American community.